The time arrived for holding the Circuit court at Charleston and Lincoln came with the Judges. The litigation had attracted wide and keen interest and Justice Wilson of the Supreme Court accompanied Justice Treat from Springfield to sit with him in the trial. Linder secured Lincoln to assist in prosecuting Matson’s case against Rutherford, and Lincoln attested the bond for costs given by friends of Matson in that case. Dr. Rutherford, who knew Lincoln well, rode to the county seat to employ him in his defence. Their views on slavery were in accord, and besides his friends advised him to secure Lincoln his lawyer. “I found him at the tavern sitting on the veranda,’ Rutherford relates, ‘his chair tilted back against one of the wooden pillars entertaining the bystanders and loungers gathered about the place with one of his irresistible and highly-flavored stories. My head was full of the impending lawsuit and I found it a great test of my patience to await the end of the chapter then in process of narration. Before he could begin another I interrupted and called him aside. Rutherford was angry and said things to Lincoln in a “bitter tone.” Lincoln tried “in his plausible way to reconcile me,” narrates the doctor, who, however, would not be appeased. Some hours later Rutherford received word from Lincoln that ‘he had sent for the man who had approached him in Matson’s behalf and if they came to no more decisive terms than at first he would probably be able to represent me.” Soon another message came from Lincoln, that “he could now easily and consistently free himself from Matson and was therefore in a position, if I employed him, to conduct my defense. Since it was a habeas corpus hearing, there was no testimony from witnesses – only arguments from attorneys. “Abraham Lincoln, with the Supreme Court decision in the Baily vs. Cromwell case still fresh in his mind, then arose to make the closing argument. He was the cynosure of all eyes in the crowded courtroom. His anti-slavery sympathies were well know, “ wrote Albert A. Woldman in Lawyer Lincoln. “‘But strange to say,’ relates Duncan T. McIntyre, a member of the Coles County bar, ‘he did not once touch upon the question of the right of Matson to take the negroes back to Kentucky. His main contention was that the question of the right of the negroes could only be determined by a regular habeas corpus proceeding, and not by a mere motion, as was then attempted. 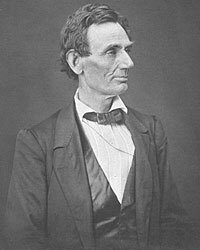 His argument was masterful in that he was carefully and adroitly shunning the vital question at issue in the case.’”11 Mr. Lincoln focused on arguing that Mrs. Bryant was a seasonal worker who was simply in Illinois to help with the crops – and not a permanent resident of the state. Paul M. Angle, editor, “The Recollections of William Pitt Kellogg, The Abraham Lincoln Quarterly, Volume III, No. 7, September 1945, p. 326. Noah Brooks, Abraham Lincoln: The Nation’s Leader in the Great Struggle through which was Maintained the Existence of the United States, pp. 124-125. John J. Duff, A. Lincoln: Prairie Lawyer, pp 86-87. Dan W. Bannister, Lincoln and the Common Law, p. 20. Noah Brooks, Abraham Lincoln: The Nation’s Leader in the Great Struggle through which was Maintained the Existence of the United States, pp. 125-126. William E. Barton, The Life of Abraham Lincoln , Volume I, p. 335. John J. Duff, A. Lincoln: Prairie Lawyer, pp. 130-131. Reinhard H. Luthin, The Real Abraham Lincoln, p. 75. Albert A. Woldman, Lawyer Lincoln, p. 67 (Duncan T. McIntyre, “Lincoln and the Matson Slave Case,” Illinois Law Review (1906). Albert A. Woldman, Lawyer Lincoln , p. 67. Albert J. Beveridge, Abraham Lincoln, 1809-1858, Volume I, p. 396. Albert A. Woldman, Lawyer Lincoln, p. 68. Albert J. Beveridge, Abraham Lincoln, 1809-1858, Volume I, p. 397. Kenneth J. Winkle, The Young Eagle: The Rise of Abraham Lincoln, p. 259. David Herbert Donald, Lincoln, pp. 103-104.